After the hubby and I got married, nearly 3 years ago, we said that we wanted to get a canvas printed of our wedding day. However, 3 months after we got married we found out that we were expecting so the canvas idea got put on hold. When we found out we were expecting twins the idea got forgotten completely! When I was asked by Canvas Design to write a review I saw this as a perfect way to finally get our dream canvas! We sat down reminiscing about the perfect wedding day that we had and looked through our photographs. We found the perfect photograph. I sent Canvas Design our chosen photograph on the Sunday. On the Tuesday I received a text message telling me that our canvas would be with us on the Wednesday! I couldn't believe how quick the delivery was. When the parcel arrived I was so excited to see the end result! The canvas certainly was well packed and well protected. The twins, and Joseph, had so much fun with all the packaging and helped me unwrap our beautiful canvas. When I finally got it out, I nearly wept, it brought back so many happy memories of our magical day. Canvas Design also sent the wall fittings which is a great added extra. I have purchased a canvas in the past that did not come with them and it was so difficult to find fittings that were correct! Thanks to Canvas Design we now have the canvas that we have longed for. We are in the process of decorating our bedroom but when it has been finished this canvas will take pride of place above our bed. Canvas Design provided an excellent service and I will definitely be using them again for more canvas prints in the future! Canvas Design are generously offering one Hijacked By Twins reader the chance to win a canvas of their choice. They are also offering a 15% discount on any orders when you use the discount code BLOG15. Disclaimer: Canvas Design kindly sent me the canvas for the purpose of this review. I have received no payment. All opinions are my own and 100% honest. I am running the competition on behalf of Canvas Design and cannot be held responsible once I have passed on the winners details and canvas information. One of my kids - love them so much! I have a lovely photo of my children when they were small with my dog Jota. if I won I would have my granddaughter on it she's nearly two and such a minx I could look at her every day. A photo of all 3 of us taken last summer. We don't usually get photos of all 3 of us as one is usually taking the photo. We were sat by a waterfall in Shropshire and a kind lady asked if we wanted her to take our photo. We then took a photo of her and her man. A picture of Uluru at sunrise that I took. Leave me a blog comment on the review post telling me what canvas you would get printed and why. i'd like a picture of my girlfriend and me probably from a holiday photo cos we've got loads of the dog hanging on the wall so could do with one of us!!! My son...cos I just love to show him off to visitors!! I would have a photo of my beautiful baby daughter. A picture of me and my mum, we don't have many together and I think it would make a lovely mothers day gift. A picture of my daughters together - don't manage to a nice photo of them together very often! My grandsons as I haven't got one of them together. I'd choose one of our wedding photo's because I've wanted to since we got married 7 years ago, but like you, other priority's have meant putting that idea on hold. I would get a black & white photo of my son blowing bubbles. 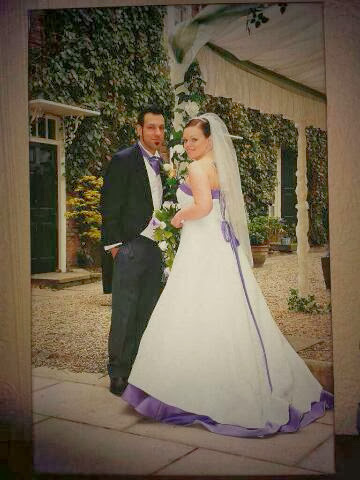 One of our wedding photos, as the biggest we have on display at the moment is a 5x7! My daughter's wedding photo - she looks so happy and beautiful. I would get a picture of my children together. We don't yet have any pictures of them up. One of my toddler as a baby. Like you, have been meaning to but with partner out of work since April (and not entitled to any benefits due to having been self employed since leaving school), its not been something we can afford just now! I'd get a picture of my son printed. I would have the photo of my other half and our daughter minutes after she was born, as this photo never fails to make me smile! A pic from our last holiday - happy memories! A picture of my children at my sisters wedding last year, as it is the one time they have both been smartly dressed and well groomed at the same time! I would love a picture of my daughter and my newborn once it has arrived to capture their special bond. A photo of my young daughter taken in the Lake District. It is in the garden of a cottage we stayed in. She is completely naked apart from a pair of Wellies!! The photo was taken with her facing the other way to us so can only see her rear! A photo she will def not appreciate when she's older! !